OlympiaTech Electric brings 50 years of electrical and lighting experience to power through any large-scale building development needs. Hard work, integrity, and the latest technological advancements collide to stand the test of time and produce quality results. OlympiaTech Electric is your hometown team with national capabilities. They provide design, construction, and maintenance electrical services for large-scale building ventures. When they went looking for a partner with the power and precision to put their years of expertise into the digital space, they came to Blindspot-Advisors. 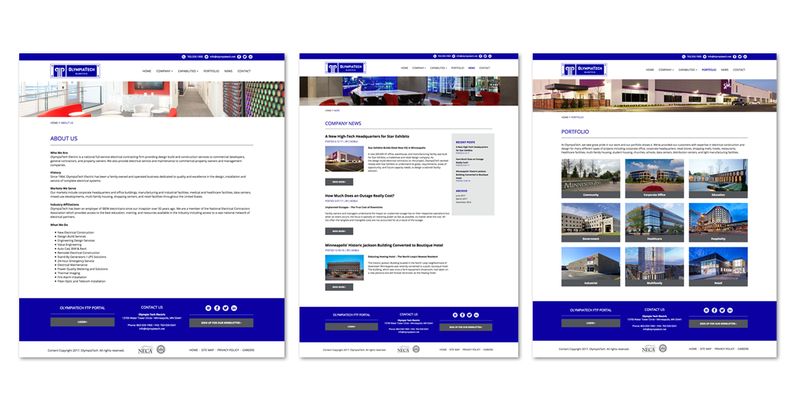 We built them a website putting decades of award-winning service on display and detailing how they can bring innovative lighting and eletrical work to your next development. OlympiaTech Electric can design, construct, and maintain any of your corporate, governmental, healthcare, hospitality, and retail development needs. Family owned and with 50 years of experience, their award-winning design and construction speaks for itself. 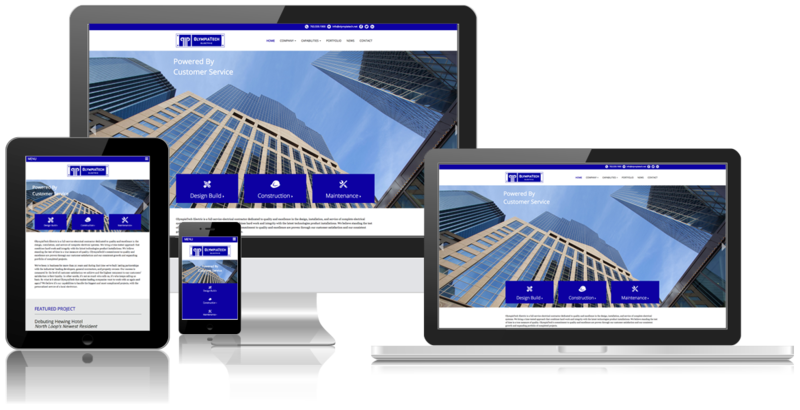 A visually geared and informative website was the perfect match to put their work on display and gain traction in their digital marketing ventures.